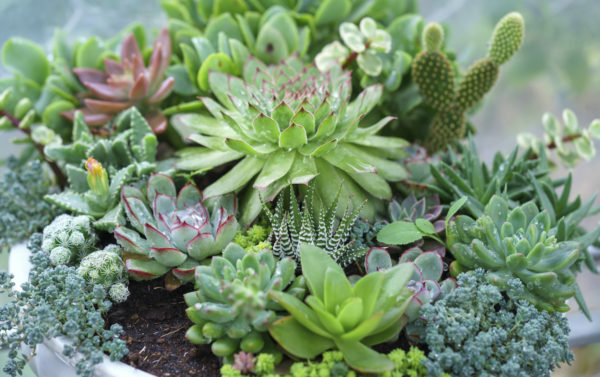 According to industry experts, succulents are the fastest growing category in the landscape and nursery business. Their increasing popularity is due in large part to their water and space saving capabilities. 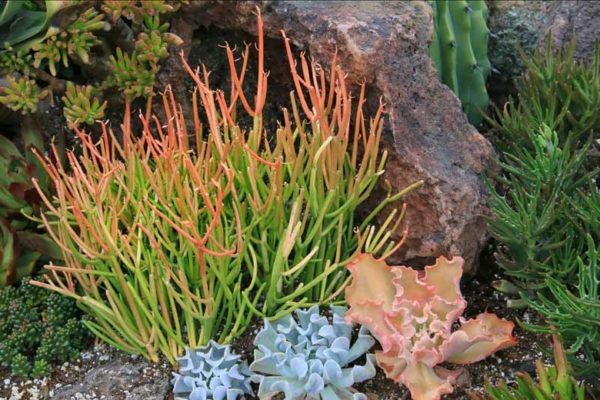 Succulents thrive in the climate of southern California. Their striking appearance and endless diversity in shape and form, coupled with their ability to thrive in the harshest climates, make them a favorite option in landscaping. Succulents are hardy and are built to thrive in harsh environments. Their leaves and stems are designed to store water from the infrequent rainfall of southern California. Their leaves have a thick, waxy surface and they also have the ability to seal their pores to keep them from losing water through respiration. This allows for much less maintenance because they require less watering, saving both time and money. Succulents grow best in well-draining soil, often found on slopes or in rocky crevices because the tilt assists with drainage. They also have a root structure that allows them to adapt and grow in practically any growing environment. Too much water, however, can cause their roots to rot. Succulents can be used for anything from groundcover to dramatic single plants. They are a popular solution for water, soil, and space conservation. They can be used practically anywhere – in rooftop gardens, in vertical gardens, or to fill in space in your existing landscaping. 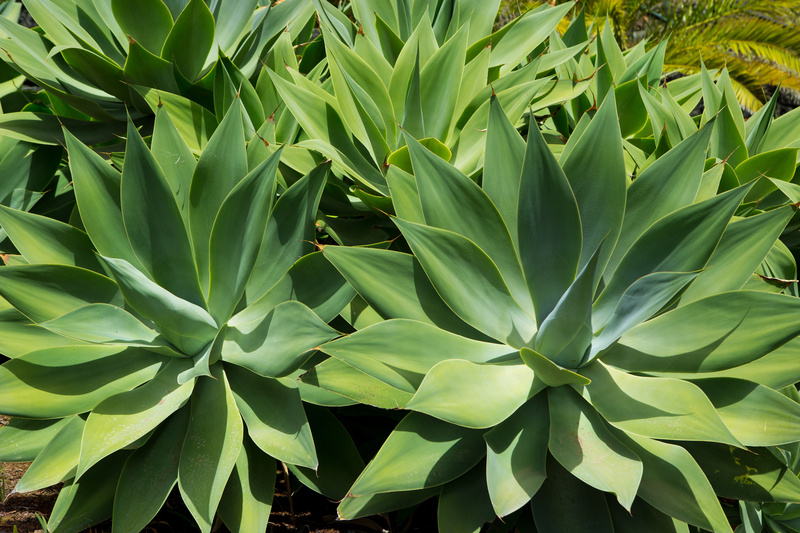 Agave attenuata is a staple in southern California because of its easy maintenance. These are large plants that expand quickly. One rosette can actually clump into a 6 foot plant in just a few years. Agave attenuata tolerate clay soil and don’t like temperatures below 30 degrees Fahrenheit. They prefer the sun but are also shade-tolerant. Like most succulents, there are many varieties of Agave. 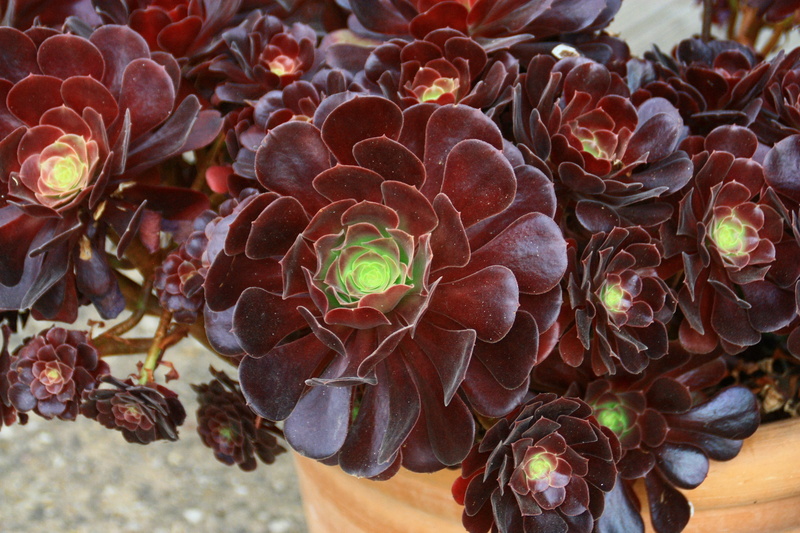 Aeonium arboreum come in several varieties that all grow exceptionally well in southern California. The dark colored varieties provide a striking color palette to your landscaping. These succulents are easy to transplant. They only need occasional watering and can grow to about 2 to 3 feet tall and wide. They can handle full sun and partial shade. 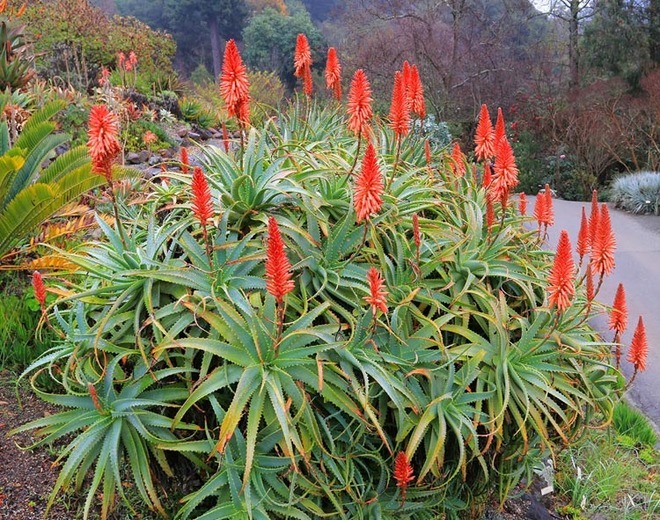 Aloe arborescens is a dense shrub also known as torch aloe. They don’t require any supplemental water and are actually considered fire-resistant. In fact, they are credited with saving several homes in the recent wildfires. These succulents can grow up to 9 feet tall with spiked rosettes up to 18 inches wide. There is an immense amount of varieties of Aloe on the market. 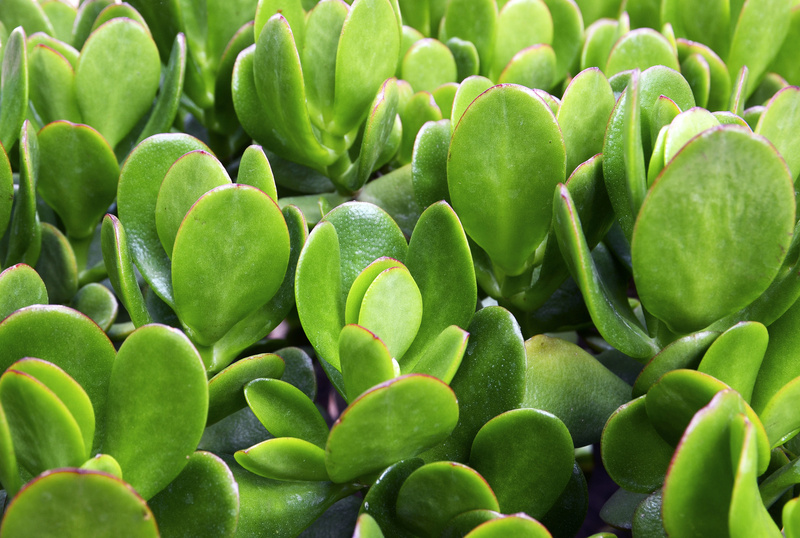 Crassula ovata is a succulent that is also known as a jade plant or a friendship plant. They have small, shiny, paddle shaped leaves with thick branches. There are many varieties of Crassula to choose from. These succulents thrive with little water and do not handle overwatering well. They are also easy to propagate. Euphorbia tiruralli is a succulent also known as firesticks. They are often mistaken for cacti. These plants can grow up to 8 feet tall and 3 feet wide. They prefer full sun and are slow growers. They are quite easy to grow but aren’t recommended in high traffic areas or areas where kids or pets frequent because their milky residue can be a powerful irritant. These plants (Euphorbia) are actually in the Poinsettia family. The variety of options available with succulents, along with their easy maintenance and striking appearance, make them a popular choice for landscaping. Contact your Account Manager should you have any questions about including some of these beautiful succulents on your property.